Get the community information you need. Queen Creek has many communities, each with their its own special flair. As Queen Creek’s Hometown Realtor® I can help you choose the one thats just right for you. 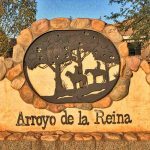 Below is a listing of many of Queen Creek’s communities. Click a link and explore the homes currently for sale. Call me or drop me a note for more information.